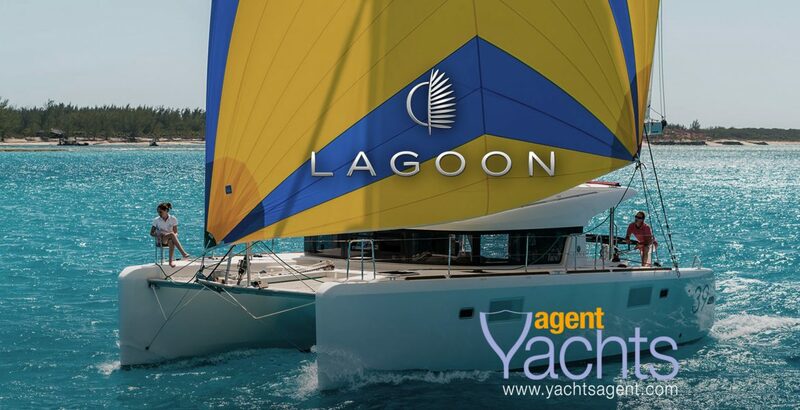 The new Lagoon 39 Nordic Design is customized for Baltic sailing needs. Specifically, although naval architects Marc Van Peteghem and Vincent Lauriot Prévost of VPLP Design have kept the signature vertical windows and overall appearance of previous Lagoon models, they made significant changes to the rig and hulls to improve sailing performance. Most importantly, the mast and center of buoyancy of the hulls are now much farther aft. The bows are also very fine and plumb to maximize waterline length.